SERVPRO of Barron, Dunn, and Rusk Counties was founded in June of 2011 with its first location in Boyceville, Wisconsin by Andrea and Rick Hanestad. 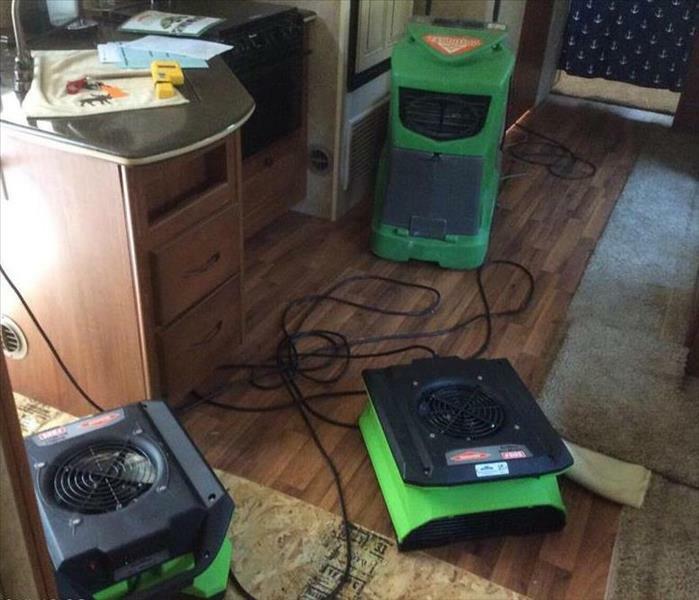 They understand along with SERVPRO of Barron, Dunn & Rusk Counties staff and crew the stress and worry that comes with a fire or water damage and the disruption it causes your life and home or business. Our goal is to help minimize the interruption to your life and quickly make it "Like it never even happened." Our staff is highly trained in property damage restoration. From initial and ongoing training at SERVPRO’s corporate training facility to regular IICRC-industry certification, rest assured our staff is equipped with the knowledge to restore your property. With a nationwide system of qualified franchises, no damage is too large or too small for SERVPRO of Barron, Dunn & Rusk Counties. In September of 2016 another SERVPRO franchise was opened by Andrea and Rick. SERVPRO of Hayward is serving the Polk, Washburn, Burnett, and Sawyer counties and we at both locations are able to better serve our customers. Both locations also can mitigate mold and mildew from your home and also offer re-construction services and commercial cleaning.